I am an ex-racecar mechanic dating back to the 60’s. 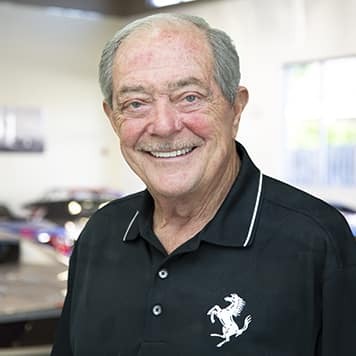 I began my automotive retail career by opening a Triumph dealership in 1962. Our dealer group has grown and prospered to now include eight dealerships. 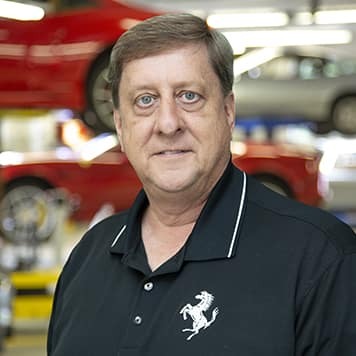 I was fortunate to have the opportunity to add the Ferrari brand to our portfolio in 1975, which makes us the second oldest Ferrari dealership in the country. I am extremely proud of the enthusiastic staff we have been able to assemble over the years, and we now boast the most experienced sales and service crew that you could probably find anywhere in the world. We love what we sell! 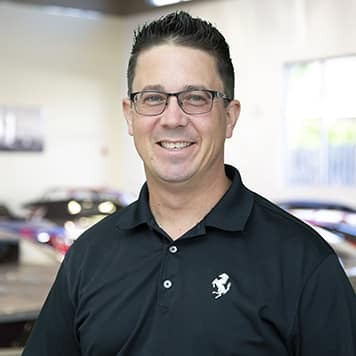 I am a proud second-generation auto dealer who also owns and operates Acura, Audi and Mazda dealerships in the local area. I am a motorsports enthusiast and have piloted many different types of race cars for almost 30 years. Currently, I compete in the Ferrari Challenge North American Series, driving the latest 488 Challenge car. 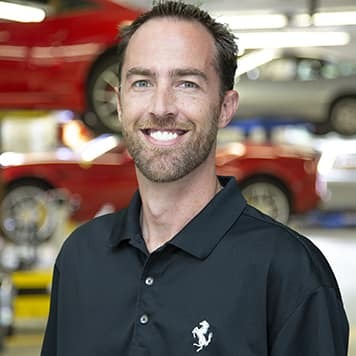 I love the relationships that we continue to build with our Ferrari clients because we share the same passion for enjoying life with these wonderful cars. 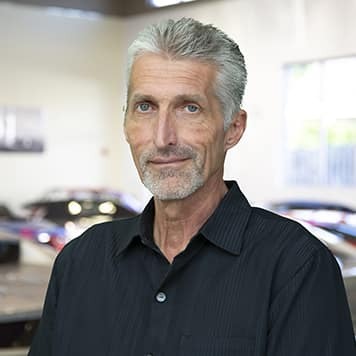 With over 20 years in the automotive industry, my passion for luxury automobiles has lead me to Continental AutoSports. My father was a dealer principal in the 1970s. I was born into the car business. As a child, I traveled the country with my father, witnessing the excitement of automobile auctions. 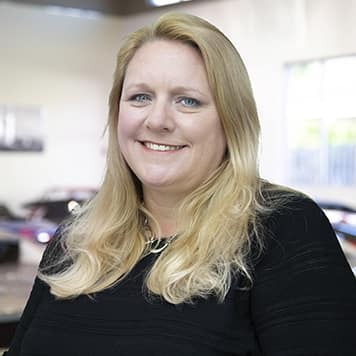 Since becoming General Manager, my focus for the dealership has been providing clients with exceptional service. 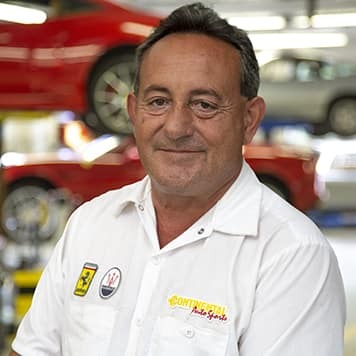 With over 25 years of automotive retail experience previously specializing in classic cars and Corvettes, an affinity for the heritage of the Ferrari brand has driven me to Continental AutoSports. 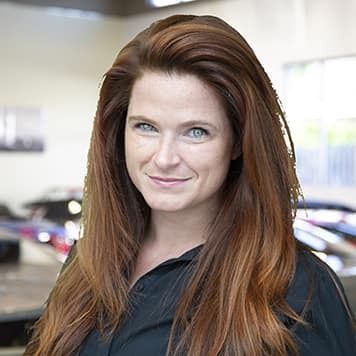 I have a true passion for the cars and the clients! You will often see me at events with at least one of my three children since I truly enjoy spending my free time with my family. Since 2000, I have located luxury and hard to find collectibles for clients. I have personally owned, restored and driven various Italian sports cars since the late 70’s. With my contacts and experience, I am happy to assist you in selecting the right car for you and getting the most out of it once you own it. I have been with the company since 1985, only integrity will get you that far, and that’s what I always believe in. I make sure my clients are happy and satisfied. 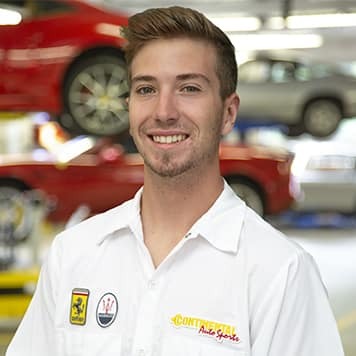 With over 12 years experience in the exotic and luxury car area, my passion for the Ferrari brand has driven me to Continental AutoSports. 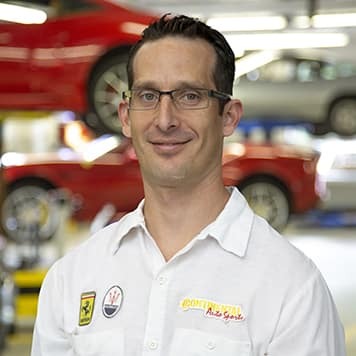 My approach is to deliver an automotive experience that is second to none! I enjoy spending my free time with my wife, three sons, and my grandchild. 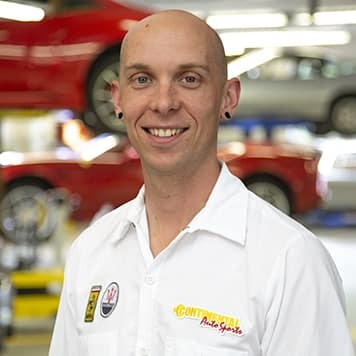 With a strong passion for cars, I have worked in the auto industry for over 16 years. 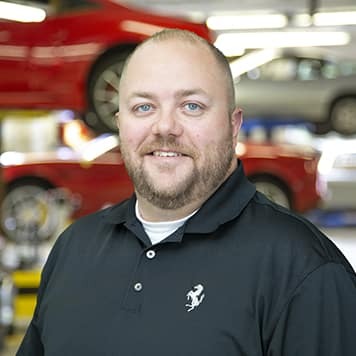 Prior to Continental, I worked as a product specialist in automotive accessories by helping dealerships manage their inventory and offer more to their clients. 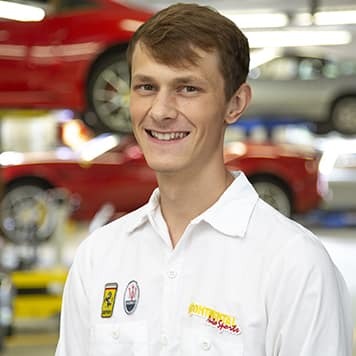 While I enjoyed my previous career, I always wanted to become more involved in my passion for Ferrari. 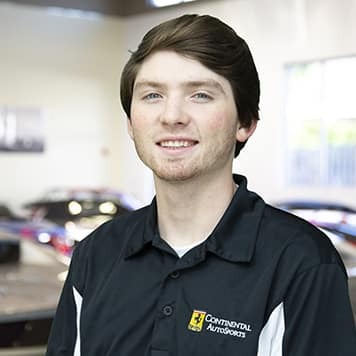 Continental Auto Sports is the perfect fit for me to assist clients in seeking the car of their dreams. I initially joined Continental Motors Group in the winter of 2012. 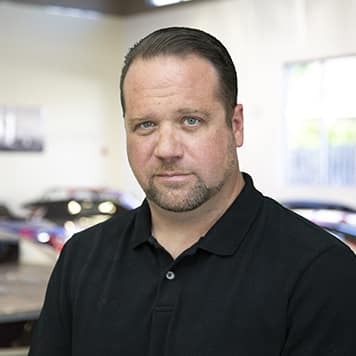 After graduating from Roosevelt University, with a degree in Marketing, I pursued my dream of working with the Continental AutoSports team and enjoying the beautiful city of Chicago. Having a true appreciation for quality, my transition to luxury automobile sales was a natural fit. 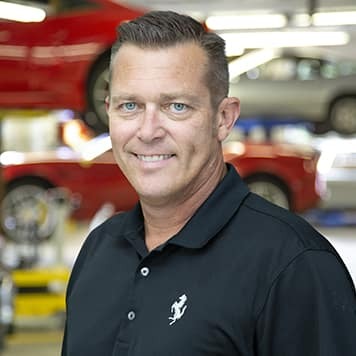 My great passion is connecting my clients with the right vehicle in a meaningful way. I strive to create a special experience full of discovery and enjoyment for everyone I work with. In 2008, I joined the Continental Motors Group parts department. Working in parts I have quickly become familiar with many of the details of these cars that customers are generally not familiar with. Working with the technicians, I will ensure all the cars that come through our shop receive the best quality OEM parts. 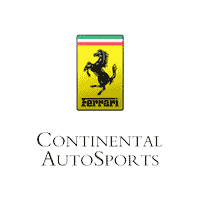 I’ve been with Continental AutoSports since 2006 and have acquired a legitimate admiration for the Ferrari marque. 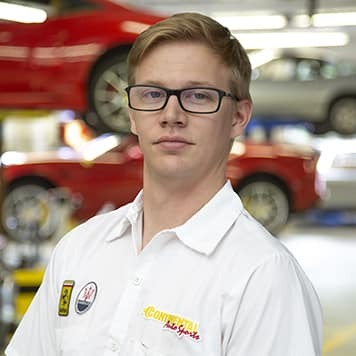 My parts knowledge is an example of this as I continue to take in as much as I can, expanding my parts knowledge on everything from vintage show-cars to brand new supercars. I leave nothing unturned when trying to acquire a part for all customers and look forward to keeping those customers for many years to come. 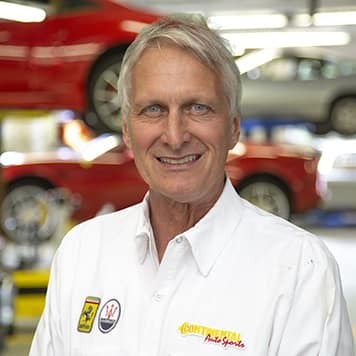 I have been the special delivery service driver for Continental AutoSports since 1999. 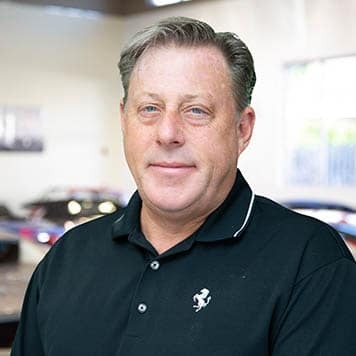 In the luxury sports car business, careful and timely delivery is a necessity, and I get the job done better than anyone in the business. I have taken the AutoSports delivery truck to many places and have also transported the Continental Racing cars to and from the race track. With over 20 years automotive advertising and marketing experience, I have worked with the world’s most powerful import and domestic brands. 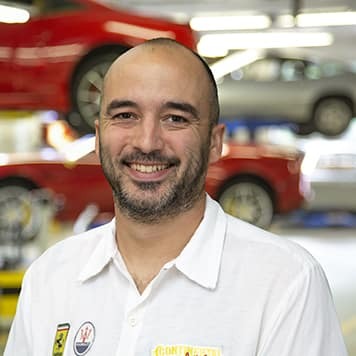 It has always been my career ambition to work in the luxury automotive arena, which has lead me to Continental Ferrari. I am truly passionate about the prancing horse and the history behind the brand. 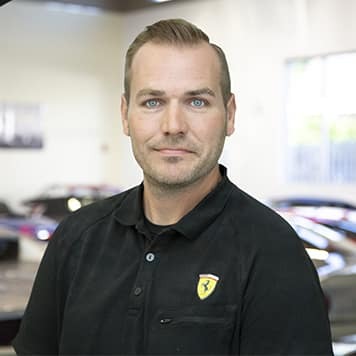 It is my pleasure to create memorable Ferrari experiences and connect with all our clients. I hope to see you at the next event! I started at the family dealership as a porter at the age of 16. After graduating from the University of San Diego in May of 2018 with a bachelor’s degree in marketing, I have experience in social media, website design, and content writing. I am bringing all these skills to the dealership in order to help Ferrari achieve success in this new age of media. 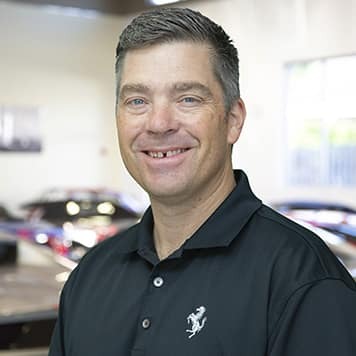 In 1991, I began working at Continental Motors Group while attending North Central College where I earned a Bachelor of Arts, Business Management degree. My career and progression within the company has grown over the years. 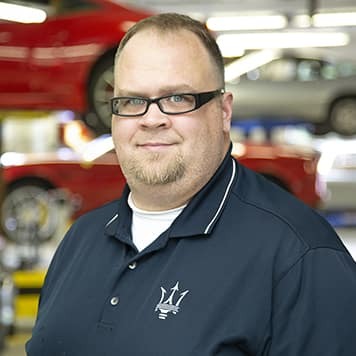 I have been at Ferrari/Maserati since 1999 where I oversee all financial functions of the dealership and ensure that daily operations run smoothly.